Let’s all admit it, this is the season of sniffles. 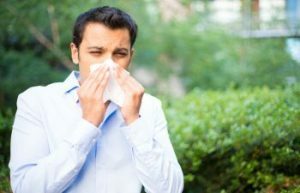 Colds, flus and sickness all can lead to a runny nose and congestion. This can be an annoyance and make you feel really awful during this season when we’re supposed to be recalling all that we’re thankful for during Thanksgiving. If you recently had a rhinoplasty procedure, you also may be experiencing a bit of congestion and runny nose. This is normal. It is the result of some residual swelling of the nasal mucosa. This feeling will gradually disappear as swelling diminishes, however as your tissue heals a scar will form inside your nose. This gives you the sensation of nasal blockage and will give you the urge to blow your nose. Blowing your nose in the weeks following your rhinoplasty procedure can be harmful. You need to resist the urge to blow your nose forcefully because it can make it bleed. We recommend refraining from blowing for 2 to 4 weeks or longer after your procedure. It’s important to wait until Dr. Khosh gives you the go ahead to blow! In addition to blowing your nose, you will also need to sneeze with caution after your rhinoplasty procedure. However, if you do get the urge to sneeze, try to open your mouth during the sneeze. This will help reduce the forceful impact put on your nose. After your rhinoplasty procedure, there are many things to take into consideration. It’s most important to follow all of the post-surgery instructions given to you by Dr. Khosh. In addition to following the instructions, it is also important to attend every post-operation appointment so Dr. Khosh can monitor you progress. Contact Dr. Khosh to see if a rhinoplasty procedure is the right solution for your nose dissatisfaction.